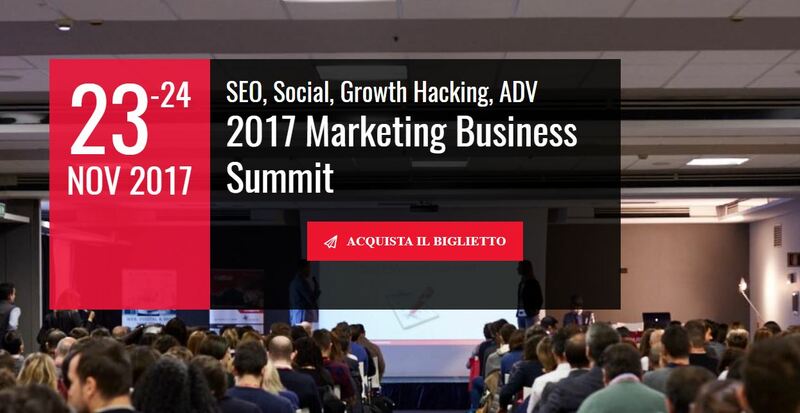 Majestic are proud to be in collaboration with Marketing Business Summit Milan. The event will be taking place from the 23rd to the 24th November 2017. MB Summit is expected to attract a diverse audience, from marketing managers, SEO professionals, communication agencies to programmers; all of whom will be hoping to learn about the latest search tips and hopefully about some Majestic data. It will consist of two days of training, sharing and learning! Majestic are very proud to be associated with an event where ideas and strategies blend with practical concrete examples to provide insights and new business ideas online. Among the content, there is also an SEO laboratory, where 5 specialists will analyse websites there and then and show you how to conduct an in-depth SEO analysis! We hope you can join in the fun and read never before seen case studies and talks from different speakers – Full speaker line up. There are also many practical training opportunities, which means less theory or philosophical lectures, and just hands on techniques to learn and adapt to your business need. Find out more about how you can attend – sign up page but don’t forget to use “majestic” for a €50 discount too.